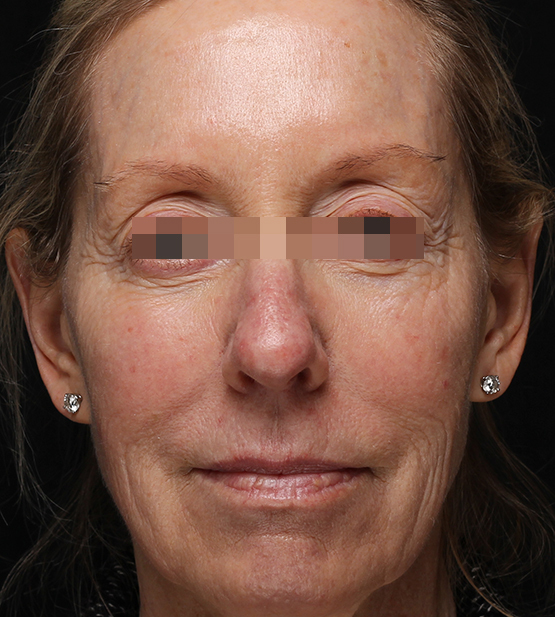 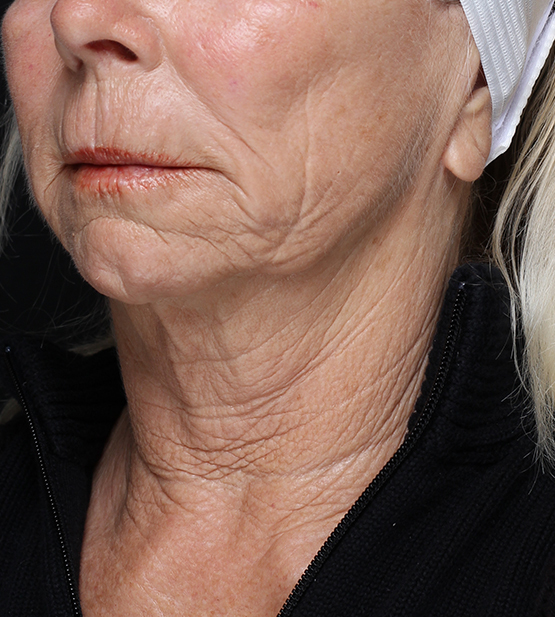 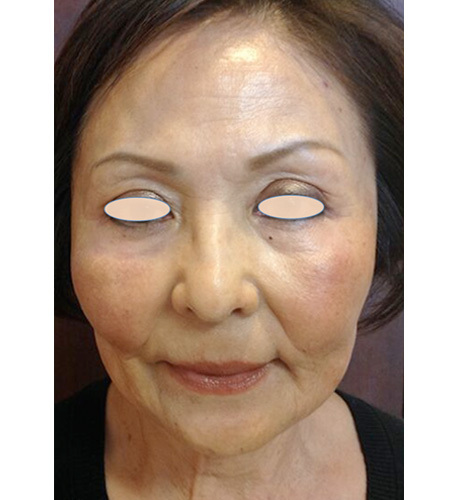 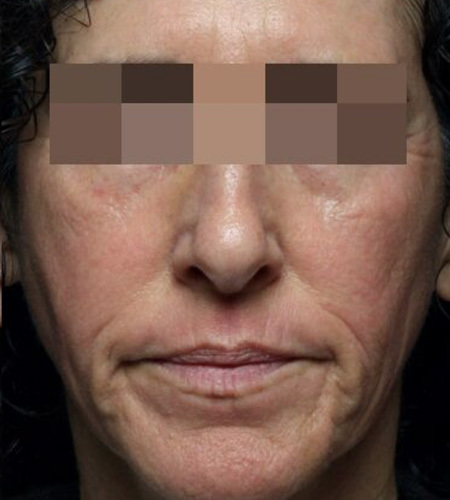 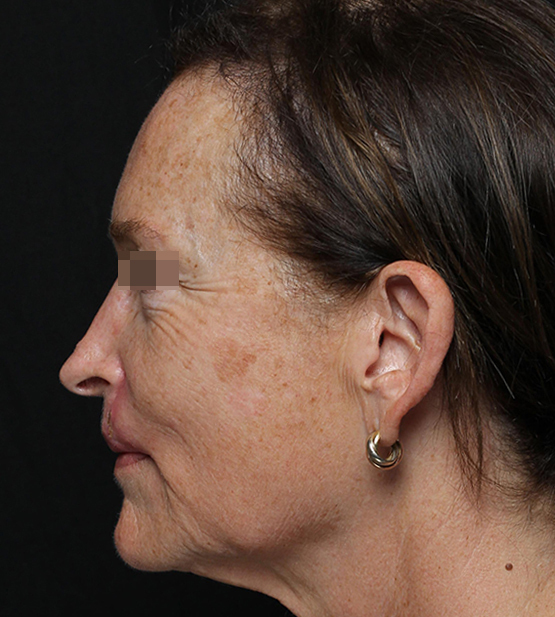 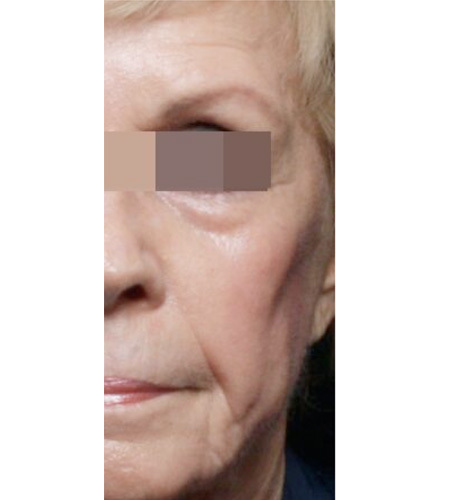 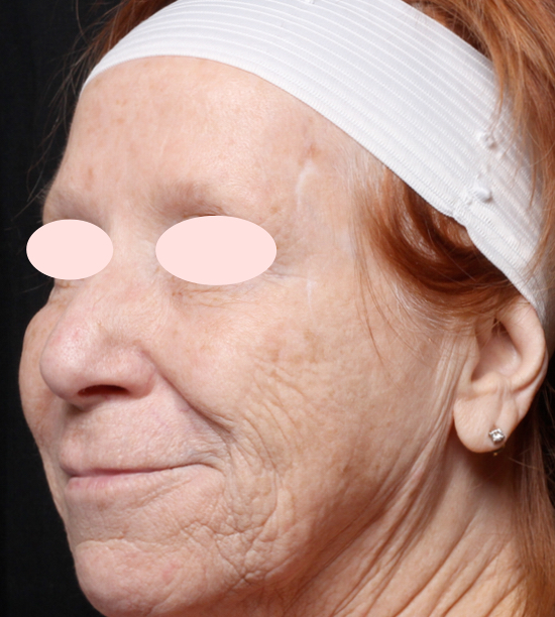 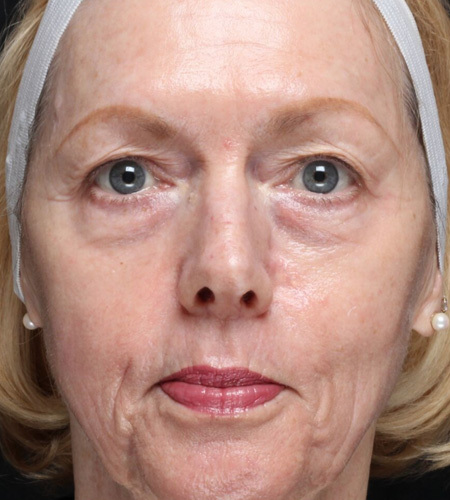 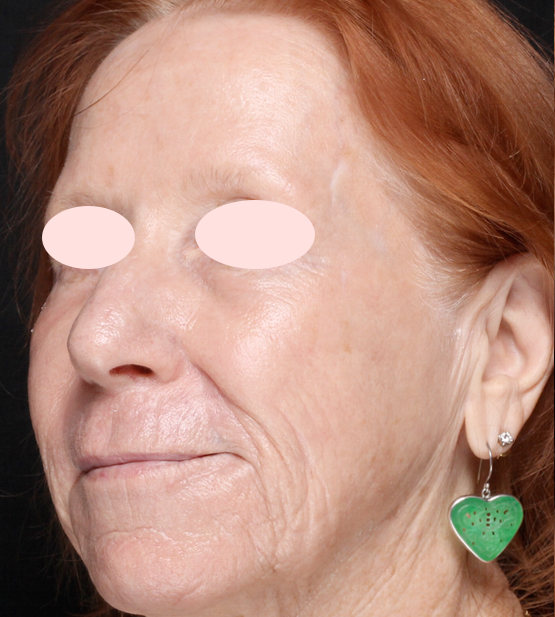 A 71-year-old female who had softened lines and folds with Botox and restylane filler wished to do more to address her overall skin texture and deeper lines. 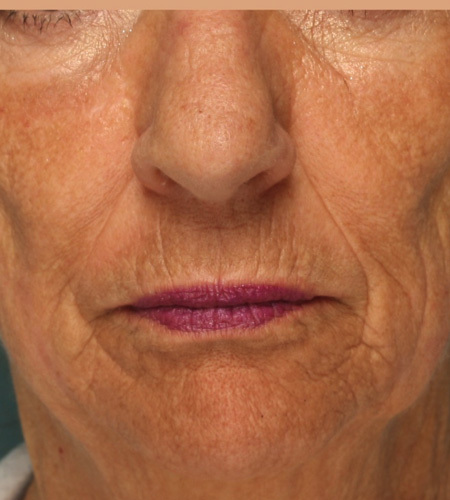 After a consultation at our Beverly Hills office, we recommended laser resurfacing with our fractionated CO2 laser. 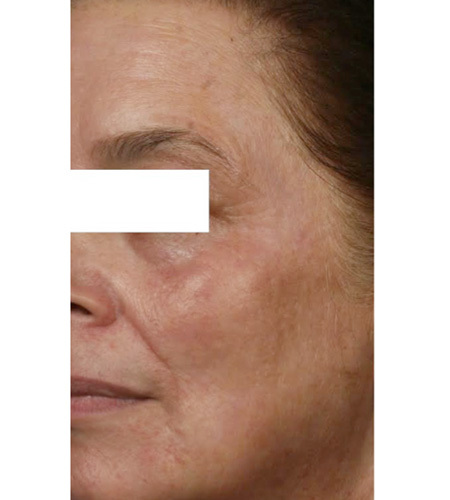 The CO2 laser makes micro-wounds in the skin that stimulates collagen synthesis, tightening the skin and smoothing lines. 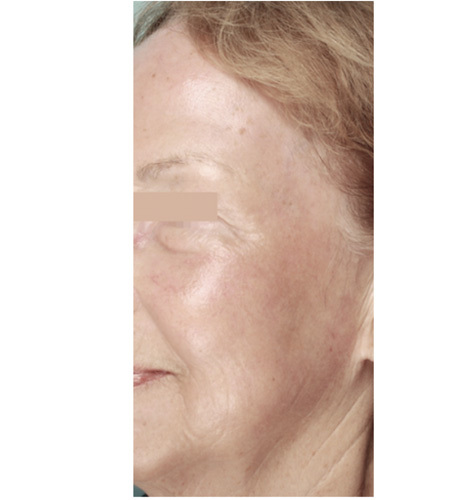 In addition, by removing skin surface damage, the CO2 laser evens skin tone and removes brown spots. 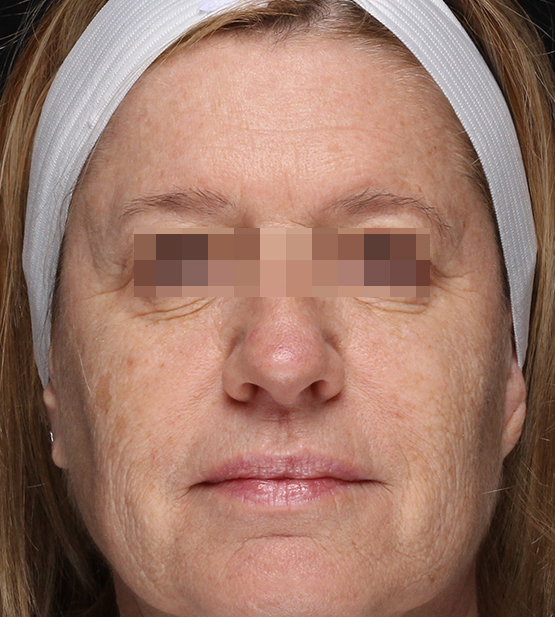 Just 4 months after treatment, she has achieved smoother, brighter skin with fewer lines.